Let me ask you a strange question, dear web writer: do you ever lose sleep over your headlines — particularly the night before your content publishes? Here’s the funny thing: I’ve been at this for more than 15 years, and even though I’ve built up enough experience and knowledge to form a decent hunch about the effectiveness of my headlines, it’s still a guessing game. An educated guessing game, of course. But there is a way to stack the headline odds in your favor. All of these resources help us write better headlines, but how many of us go back and evaluate our headlines after they are published? Particularly the disappointing ones? What content marketing lessons could we learn? That’s exactly what this post is all about. I did a postmortem on headlines that didn’t perform how I expected, including running them through the two headline analyzers above (which I didn’t do the first time around). This was an interesting exercise. One I recommend you try yourself. Some old truths were confirmed, but I also learned some new truths, too — lessons that will help you and me write better headlines … and even, possibly, sleep better at night. I was sitting on this idea about hustle for quite some time, specifically my frustrations with hearing the word every time I turned around. And I was wondering if people were as annoyed as I was. Could I tap into that collective angst? For those who don’t know, “I hustle” is just another way of saying, “I work hard.” Sometimes people say, “This is my side hustle,” meaning it’s work they do on the side. At the same time, I was toying around with a popular headline generator — one where you enter in three words and then it spits out a handful of ideas based upon a limited number of formulas. After generating a number of unworkable ideas, I decided on the “worst ever” angle. So, did it work? The answer is no, it didn’t. In terms of social shares, it’s easily my lowest-performing headline. But how did it perform on the headline analyzers? It didn’t even register on the Emotional Marketing Value Headline Analyzer. It gave the headline a score of 0.00 percent. I ran it through three times because I thought there might be a mistake. Headlines with little or no emotional words rarely do as well as headlines with stronger emotional content. 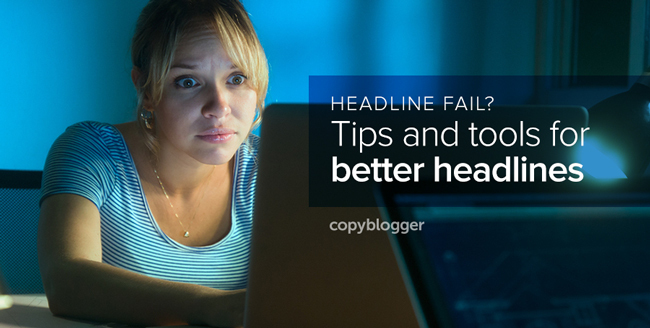 You can attempt to shorten your headline or use different words and analyze the new headline. But I was confused. “Hustle” and “worst advice ever” seemed like emotional words. Unfortunately, they don’t appear on this list of 50 trigger words. So, how did the headline perform on the CoSchedule Headline Analyzer? That was a different story. I’m guessing one of the reasons it did well on the CoSchedule Headline Analyzer (68 out of 100) is because it’s short. It scored a B+ on word balance, which evaluates the percentage of words that are common, uncommon, emotional, and powerful. The article got a lot of comments (43), so in some sense the content inspired those who took the time to read it. But I think I could have done better. 6 Hard-to-Learn Lessons on the Art of the Hustle (22.22 percent and a score of 75). The big lesson here is that the word “hustle” probably has some baggage. Most people don’t want to be considered a “hustler,” so they cut a wide path around this article. What do you think? Do you have a better headline idea? Test it and let me know how it performs. This was one of those posts where I had a lot to say and was really excited about the concept. The problem was I had two completely different ideas running through my mind that I needed to join. How were they going to come together? Eventually they did, but as you can see, the headline is a masterpiece in long-windedness. There are a few things going for this headline, though. It’s positive (“Inspire You to Create Content”) with a little spicy qualifier (“That’s Worth a Damn”). It’s also one of those “Why” posts, which is supposed to trigger people’s curiosity. But we were simply asking readers to process too much information with “a Legendary Album and a Viral Hoax.” The headline is 19 words and 95 characters! It scored a 56 on the CoSchedule Headline Analyzer and 22.27 percent on the Emotional Marketing Value Headline Analyzer, probably because it’s too long and too wordy. So, what if I shortened it a bit? Both options are still too long. The Dos and Don’ts of Creating Powerful Viral Content (22.22 percent and a score of 68). How to Become a Genius of Viral Content (37.50 percent and a score of 74). Those two headline options are an improvement, but the big lesson here is to go short. I love this headline, personally, because I got to use the uncommon word “rankle” instead of “piss off” (which doesn’t sit well with some people). But it also has some other things going for it. It’s short and a list headline. So, why didn’t it provoke more interaction? Probably because Copyblogger’s audience doesn’t include a lot of journalists. If it were published on a site dedicated to journalism, perhaps it would have provoked more of a response. I should point out that this article was published the week we closed comments on Copyblogger and there was a string of discussion on Google+. How did it perform in the headline analyzers? What would I change? I would probably take a different approach. The original headline is negative. Almost a smear, with a sensational edge to it. The big lesson I learned from this one is that it’s an article that draws a line in the sand. People take sides. I didn’t actually want to make journalists angry, though — I just wanted the article to stand out. This was an announcement for one of our master classes in Authority. It’s a short headline and it promises to offer a solution to a common problem: we all know we need to monitor and evaluate our website analytics, but doing it well is tricky. So, the headline offered to teach readers how. But it was a wet noodle. It scored 16.67 percent on the Emotional Marketing Value Headline Analyzer and a score of 52 on the CoSchedule Headline Analyzer. I may have needed to change that scary phrase “site analytics” and talk about benefits. Possibly. These scored well even when I kept “site analytics” in the headline. So, the big lesson? Give the headline more personal appeal by dishing out uncommon, power, and emotional words. Could you do better? Drop me some ideas in the comments. You should have seen me the day this published. I was stoked. I knew people were going to pound the share button for their favorite social media site with this one. I guess they couldn’t find the share button. What would have made me happy? I don’t know, something along the lines of the 13,000+ shares I got for the 10 Rules for Writing First Drafts. But no, this article didn’t even break 1,000 shares. Let’s see if we can figure out why. For starters, I wrote this “manifesto” because our obsession with getting attention frustrated me. I also had a hunch there were thousands of people out there who were also frustrated. Now, I didn’t have any particular bitterness toward a single person when I wrote this one, but I’d seen a number of successful “Against [Blank]” headlines and wanted to try one. Besides being Seth-Godin short and tapping into what I thought was a collective nerve, the other thing I thought this headline had going for it was the word “manifesto.” People like manifestos — brief, inspiring, anthem-like commitments to make the world a better place. Finally, I was rooting for the underdog. The little guy! I was being sentimental! And what better day to be against attention — that thing we could never get enough of and always wanted more of and kept us cranky when we didn’t have it — than the day before Thanksgiving, the day of gratitude? The Emotional Marketing Value Headline Analyzer gave it a 0.00 percent rating. The CoSchedule Headline Analyzer gave it a tepid 55. The big lesson here? Perhaps shorten the headline to “Against Attention: a Manifesto.” More importantly, however, I’d offer a downloadable poster as well (which is probably one of the top reasons why “10 Rules for Writing First Drafts” was so popular). And, of course, lower my expectations. Do you have any headline ideas for this one? So, let’s summarize the lessons we learned in this article. Avoid words that people think are icky (like “hustle”). Go short (19 words is entirely too long). Polarize at your own risk. Increase uncommon, power, and emotional words. Offer a downloadable asset for an added bonus. So, do you have anything to add to this review? Any headline analysis tools you’d like to share? Any other lessons I should have learned? And do you lose sleep over your headlines? Previous article: Featured Entertainment for Digital Commerce Summit: CAKE! Headlines should really be read-worthy at first glance. Internet surfers tend to pass by article titles that don’t sound interesting. Headlines must be short but catchy if you want your posts to be read. I love your article! Thanks James. It’s funny how we can know the right thing to do but under the pressure (given deadlines and perfectionism) resist conventional wisdom. But I also think if you don’t play a little bit, explore a little bit, you don’t discover new opportunities. What a fun read! Thanks, Demian! I always try to steer away from click-bait headlines and go for more substantive, but the obvious headline tends to be a boring headline that doesn’t catch much attention. Really, headlines are probably the most difficult part of content marketing so this post is much appreciated. My rule of thumb is to create substantive content, but not to be afraid of a highly clickable headline. Remember: It’s not the job of the headline to carry the substance — it’s the job of the headline to get your content read. That’s not to say you need to veer into hype (how well that works will depend on your audience), but don’t be afraid of punchy headlines. It’s sad to waste the hard work you put into your well-crafted content by putting a weak headline on it. The problem with punchy headlines is not that they are punchy, is that they don’t deliver. Thank you for the help and resources on writing better headlines! Very useful. Thanks for sharing your challenging experience. Headlines alone have failed many content marketers with quality content online. I’ve realized these analyzers are not reliable. What do you think? The only two reliable analyzers I believe are our experience like what you’ve exibited and what our audience need. Increasing power and emotional words is ideal in this era of content marketing, I think. Keeping it short has always been my priority. You know what? I need more of you on Copyblogger. Article worth sharing a million times. Thanks. Thanks for the kind words Francis. Damian, great article and valuable insight. Just a quick question, do you think the same logic and principles apply to sub headings as well (h2, h3 etc.)? Or are they the different ball game? That’s a good question, Ahmad. And yes, the same principles do apply. Sub headlines allow scanners a chance to digest your content quickly. Compelling sub headlines can get the scanner to dive into a section. So do the hard work of making sub heads compelling, too. Wow! I’ve been studying headline for awhile, and you’ve just given me some new tools to use. Thank You. Does the mention of site analytic overwhelm you? You bet. And I really like those ones on hustle. Did you drop them in the headline analyzers to see how they scored? Ooops. Yes. Sorry. Forgot to publish those. respectively. I tried “prodigy” instead of “genius” to show how AMI reacts compared to CoSchedule … although “genius” is likely the easier term to understand. Keeping things as simple as possible is arguably the better approach in most cases. I have noticed that these tools appear to enjoy simple terms such as “useful” and “really” … and AMI seems to prefer questions before how-to phrases, with lists coming last out of the three. Those are some pretty stout numbers! Like you said in your last sentence, ultimately rely on common sense. Headline analyzer tools are so essential to predict our content title value as well as marketing research. You have done a good job. and I too was getting done for my own site. Thanks for article and the suggestions for the headline tools. I love ’em. That’s a beautiful headline Mike! Good job. Thanks for pointing out these two headline analyzers. And the Marc and Angel blog. They do have great headlines to learn from. Like Heidi said, headlines never get old for me either. Love reading any “how-to” headline writing articles I can find. Yours delivered. Now I’m off to run some headlines through the ringers. I look forward to seeing the results, Chief! Great post you write. I really like your article and appreciate it. Thanks for sharing this post. I love the idea of a headline analyzer, but Im swedish. Is the anyone who can point me towards one the works for my language, so that I might join the fun? So glad it did, lovely read. Thanks for the analyzer. AND Yes, i loose sleep! I love this article! I always wonder if my headlines would make the best of the best in the writing world secretly snicker at me behind my back. 🙂 I struggle with my headlines all the time, and not only will the post help me write better headlines, I also love the tools (headline analyzers) included as well. Thanks, Demian! This is something that I improved with over time. It really comes down to a matter of experiment. See what the readers engage with the most. Great article! Bookmarking this. Great post. Thank you. In addition the the headline the content also needs to be readable. What a great post. I am having problems with writing catchy headlines. This is the third post I read about headlines and mark my words, this is the best. I also dream that I can write like you. Thanks for the kind words, Sateesh! I believe in you. You can do it. Some useful but really nice tips, thanks. I’d like to share a quick tip from my experience – it could be a great idea to check your headlines for plagiarism (for instance, I use Unplag plagiarism detector) to make sure your content is original.